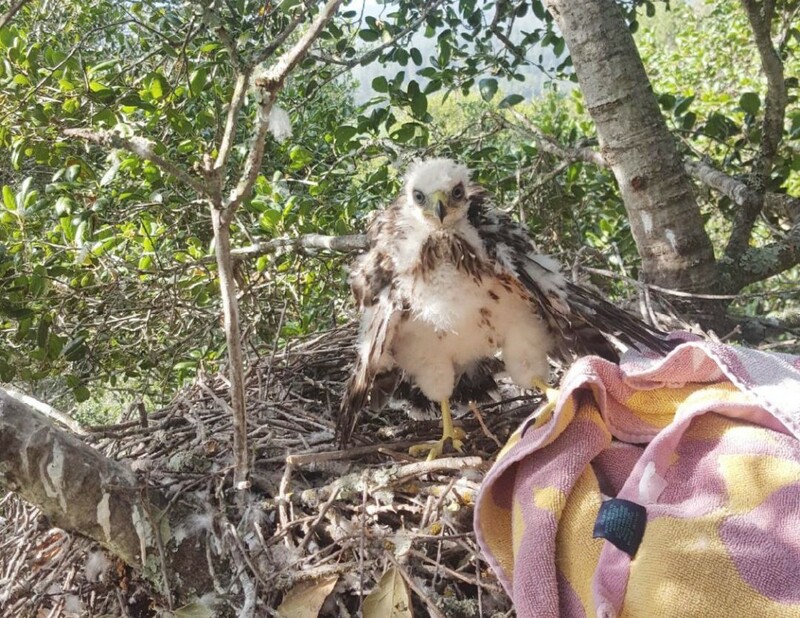 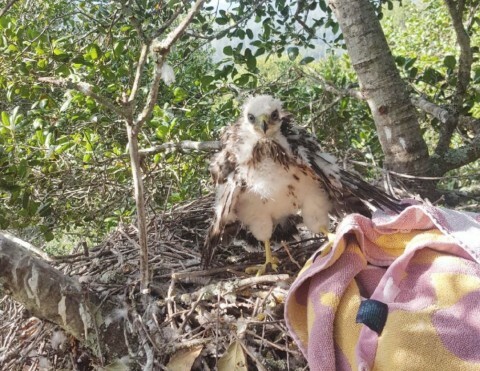 A fledgling Cooper’s hawk was rescued last Thursday at St. Helena’s Crane Park after it had fallen from its nest. 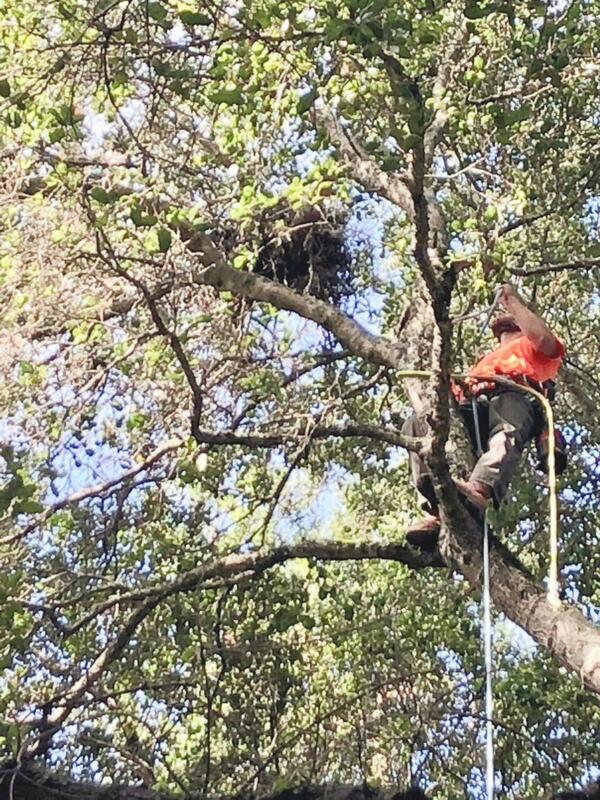 Joe Borden, a certified master arborist and president of St. Helena’s Britton Tree Services, said someone spotted the fledgling and called Carol Poole, a volunteer with the Napa Wildlife Rescue. 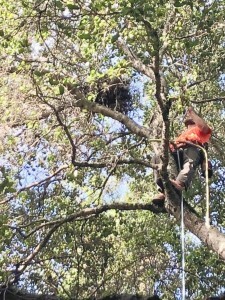 Poole called Borden and on Thursday morning, Sam Glenn of Britton Tree Services put the baby hawk in a canvas bag, climbed 30 feet to the hawk’s next and pulled the baby up to the nest.